Defeat at Watford — who have won all four of their games – would leave United nine points off the lead and their title ambitions in tatters midway through September. 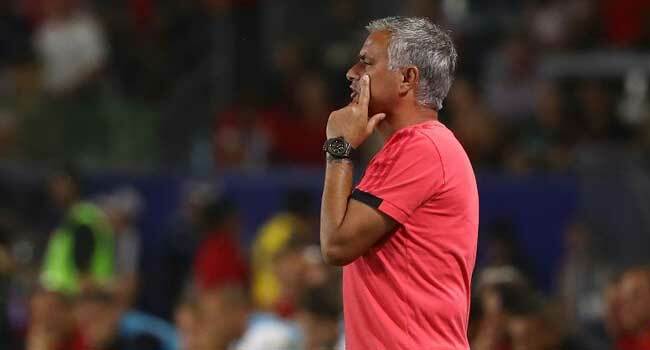 Neville insisted it is far too early to write Mourinho off despite his early-season struggles, which have given rise to the suspicion he is yesterday’s man. “I think Jose is a brilliant manager, and, in a 25-year career, young managers will emerge, people will ask questions if you aren’t successful,” he added. Mourinho’s tasks in solving a rift with World Cup-winning midfielder Paul Pogba and his side’s defensive frailties have not gone away in the international break, even if some of his stars showed the richness of the resources at his disposal with their countries. Mourinho could also be without defender Luke Shaw, who suffered a nasty head injury in England’s match against Spain on his return to the national side. “Nowadays we talk about the coaches a lot more, but they have a great squad, many internationals, recently crowned champions of the world,” said the Spaniard. “We’ve seen them in all the big international games and we know it is going to be a very difficult game. But we will try to compete in the same way we have done things in the last couple of games.